Many years ago (13 years, in fact - gulp!) we created one of our annual birthday websites for RDA, and I created a video for the occasion. It's been available on the website in the Features section since then, but in an older format that is probably not supported by many browsers anymore. I recently updated it in a format that should play properly now. Thank you Kate for this beautiful remembering... What a marvelous father with his sugar sun...!! Yes, thank you for creating this video , Kate . When you watch it ,you understand why Wylie is at ease on the stage … she started very young ! And she can play soccer !!! Ah ! I've just seen RDA's latest note !! Thank you, Kate, for the wonderful and touching video!!! Thank you, Kate, for posting that wonderful video. Thanks, Kate for the video and the update from Rick! 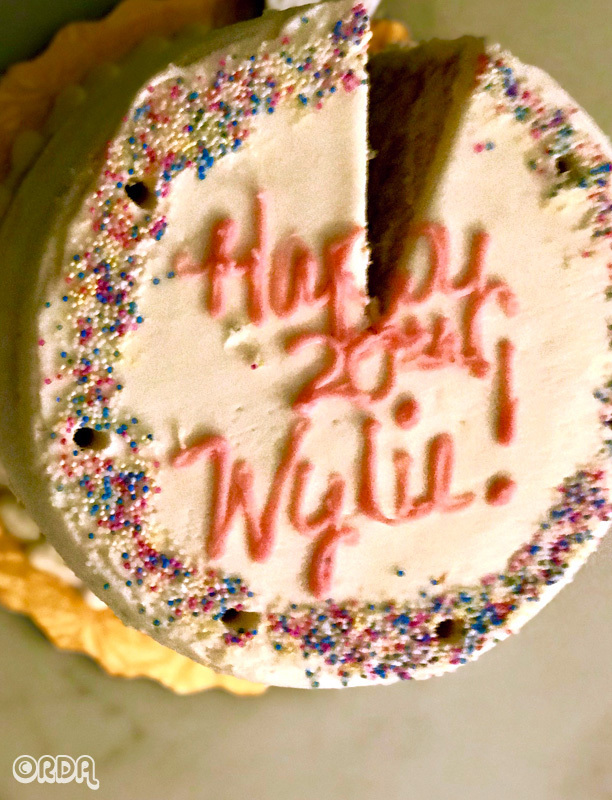 Adorable cake and nice to know that Wylie will have it for her 20th birthday! Thanks for re-posting this I remember this from long ago and still so lovely and touching. to be a beautiful young lady. Thanks for sharing this Kate.